My brother got me this for Christmas, and all I can say is OH MY GOD. This has got to be the best gaming mouse on the market. I love having wireless mice, but latency was always a problem. If it wasn't latency, it was limited battery life. Well, the G900 changed all of that for me. It's rechargeable, wireless / wired, uses Logitech's best sensor, and has a ton of features. And even better, there is no noticeable latency at all! Couldn't be happier. I absolutely LOVE this mouse. In my opinion, it's by far the best wireless gaming mouse there is. It's fully customizable as the side buttons are magnetic. You can have buttons on both sides, on one side only or none at all. It can be used by lefties and righties. A friendly reminder; Please do calibrate your mouse to your mouse pad before gaming, it has a tremendous effect. 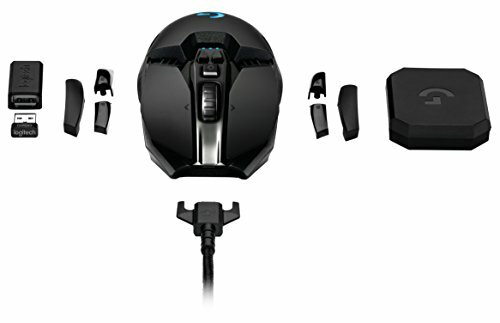 Great and comfortable mouse with many features. Hands down one of the best mice on the planet. It's a wired or wireless mouse. When used wireless, it's still as fast as a wired mouse. Ridiculous. It has removable magnetic side buttons, total of 8, with programmable functions and macros. Simply perfect. It's ambidextrous, so that might turn off people that prefer ergonomic shaped mice. It's unreasonably expensive at $150. I bought mine used on eBay. 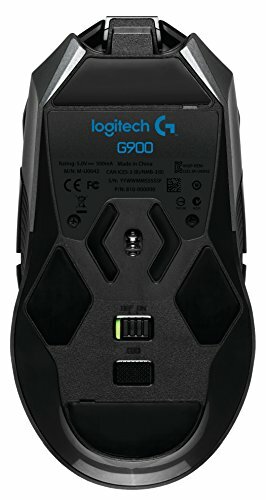 If you want the same guts as this mouse but brand new, ergonomic and a bit cheaper then I recommend the Logitech G403 Wireless for $100. I’m happy with the mouse. 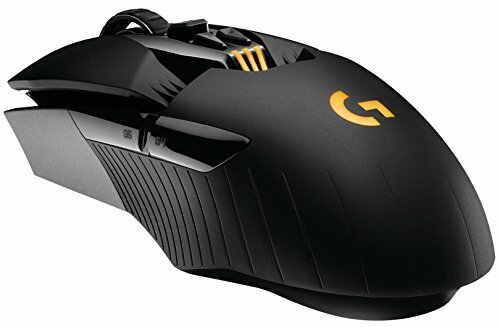 I’ve had Logitech mice throughout the years, only having just had a brief stint with a Razer Deathadder (which I rather fancied), so using this was like returning home after a long while. The battery charge on this thing is really impressive, and the included sleeved USB cable is a nice touch as, even when it’s plugged in and chords are going along the desk, it has a really nice look. Bundled with my headphones, controlling everything through Logitech’s gaming software app, is a nice bonus. Coming from a G502 without spectrum, thought I I would just try wireless out as well. Preferred Logitech mice because of they give my hand the most comfort too. It's massively (and probably overly) expensive for a mouse, but it's also probably one of the best all around mice on the market. The sensor is the most accurate and responsive I've seen in both wired and wireless mode, and the shape and weight is perfect for most any hand size and use case. A great choice if you can afford it. The best wireless mouse out there ! Just buy it ! The best gaming mouse ever. The sensor works wonderfully, zero latency when using wireless, you couldn't tell the difference, it's that good. The RGB is a fancy add on, but the true star of the show is the functionality, and the look and feel. Whilst it's not as ergonomic as the G502, this just beats it in every way, and it's not exactly uncomfortable either. My hand didn't ache playing claw on Overwatch for 6 hours so that's a testament.